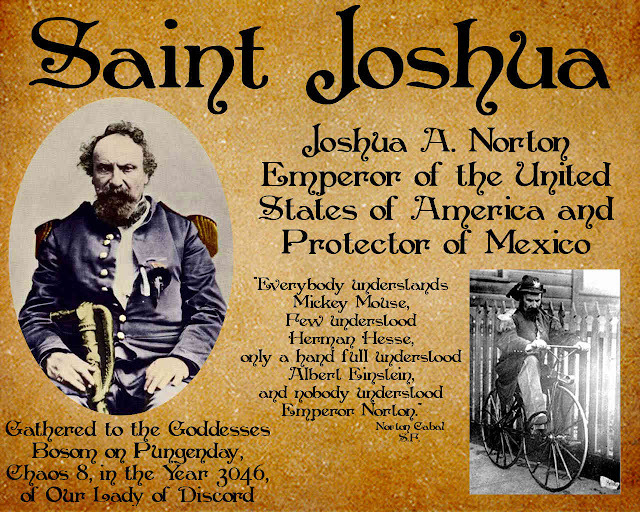 Reverend Guimo's Blog: Happy Death Day to Norton I, Emperor of the United States of America and Protector of Mexo! Happy Death Day to Norton I, Emperor of the United States of America and Protector of Mexo! Happy Death Day to good ol' Emperor Norton, who died this day 138 years ago, leaving his thrown empty for anyone clever enough to take it. Currently, I believe President Vermin Supreme is the best possible candidate, but he's still trying to reclaim his office from President Donald Trump. 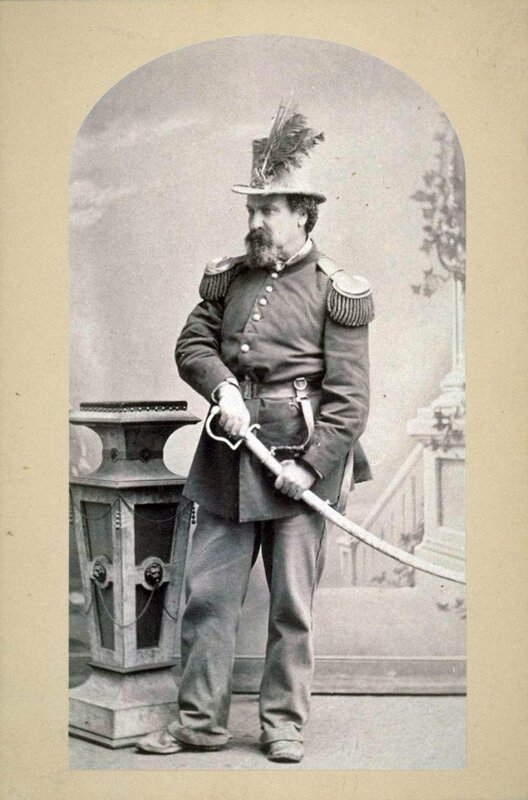 Emperor Norton's influence on the Discordian Society, and the Church of the SubGenius, is of course, without limit. To go into the really important details would be impossible at the moment (I've just taken a fistful of melatonin so I could forcibly knock myself out), but needless to see this man's ridiculous nature is that of legend, and I only wish I could be even a tenth of a weirdo that this great Emporer was.